CINCINNATI -- What some call a public health risk, others call home. 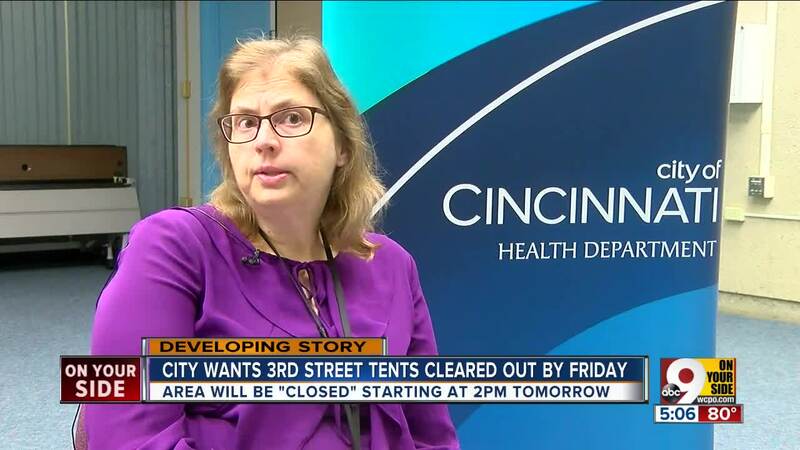 The city is ordering people living in a tent city on Third Street to leave by 2 p.m. Friday. But some of those people experiencing homelessness don't seem to be on board with the plan. The camp has been up for several months, with about 40 people living there. The city set a deadline of 2 p.m. Friday for everybody to move out. 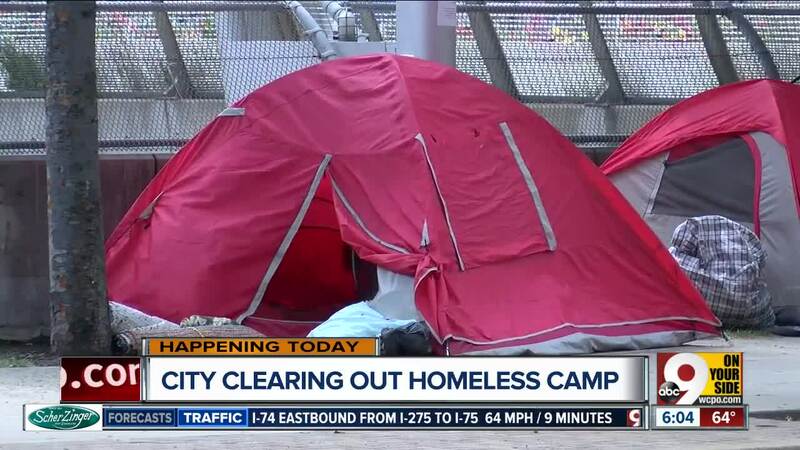 Mayor John Cranley called the camp "a public health hazard," citing a health department report. "There is an alarming increase in hepatitis outbreaks, there's risk of HIV, needles, urine, feces -- a totally unacceptable health hazard to the city," Cranley said. In a written statement Thursday, the city said its "main concern is the health and safety of all our residents and visitors." "As such we will focus on cleaning and sanitizing the area along Third Street, and we will work with social service providers to find appropriate support services and housing solutions for those currently living in the Third Street encampment. "We will continue to enforce local laws and ensure we don’t have people in Cincinnati living in unsafe, unsanitary conditions." But clearing out on Friday isn't the message people in the tents seem to be hearing. The colony's leader, who goes by just Desmond, said it's simply a cleaning. He said he'd like to see the tent city become permanent. He also claimed the city had not given them a deadline. "But, if we have the cleanest five blocks in Cincinnati, why do you need to clean here when there's other neighborhoods that need to be cleaned, the potholes that need to be filled?" Desmond said. The issue drew considerable debate at Wednesday's city council meeting. 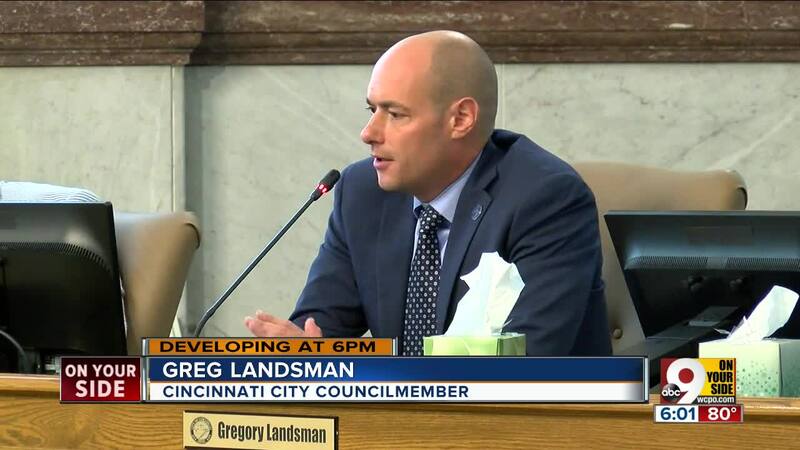 "This is a problem that we have to address, the root of the causes of which are addiction, mental health and livable paying jobs, so that people never end up on the streets," Councilman Chris Seelbach said. "They want to make this a permanent fixture on Third Street and then transition folks out to more sustainable living," said Councilman Jeff Pastor. "This cannot happen. I mean, that's just not right. It literally breaks the rule of law." Councilwoman Tamaya Dennard said all sides need to check their egos at the door. "I'm going to find a solution that works for everybody, not just for people with money, not just for people who don't want to see it, not just for us, not just what's convenient because equity is hard," Dennard said. Leaders from the group Maslow's Army have been on the scene, trying to help the tent city residents move on. 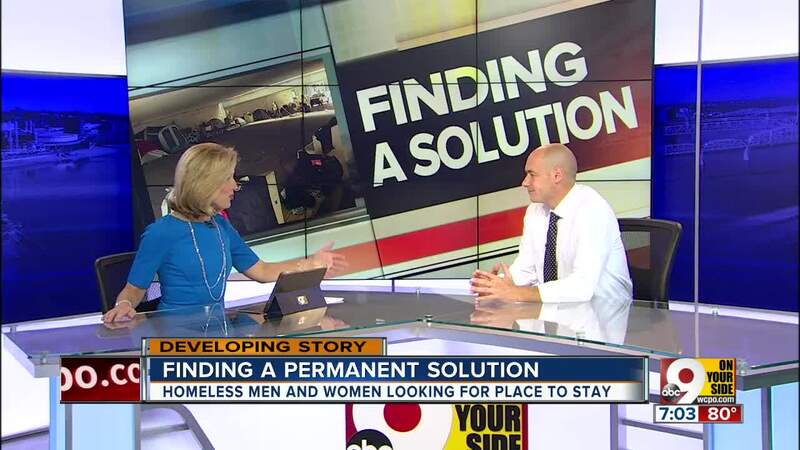 "We're optimistic that we can direct them to a shelter, but there's always that 10 percent that want to stay outside, and all we can do is plant the seed that we want what's best for them," said Susan Landis, Maslow's Army co-founder. Co-founder Sam Landis said it takes a lot of time to match people with services. 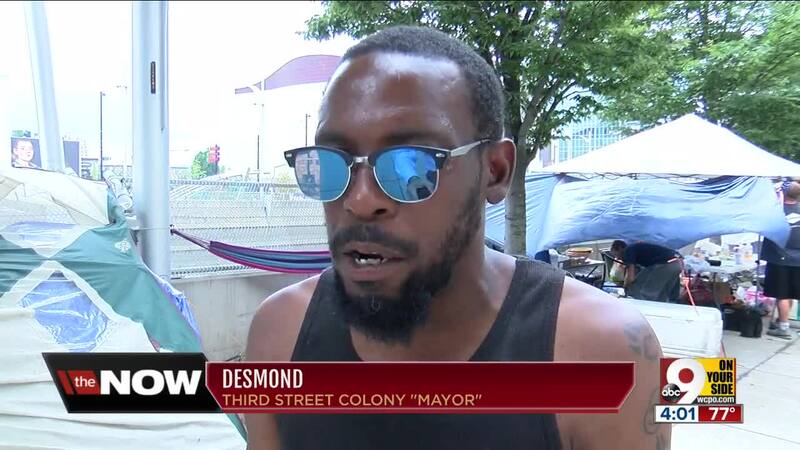 "We understand that people can't be living on Third Street, but they have to have somewhere to go," he said. Up next is an effort to close the camp between Fort Washington Way and One Lytle Place. Acting City Manager Patrick Duhaney said that will involve a social services blitz and cleanup.